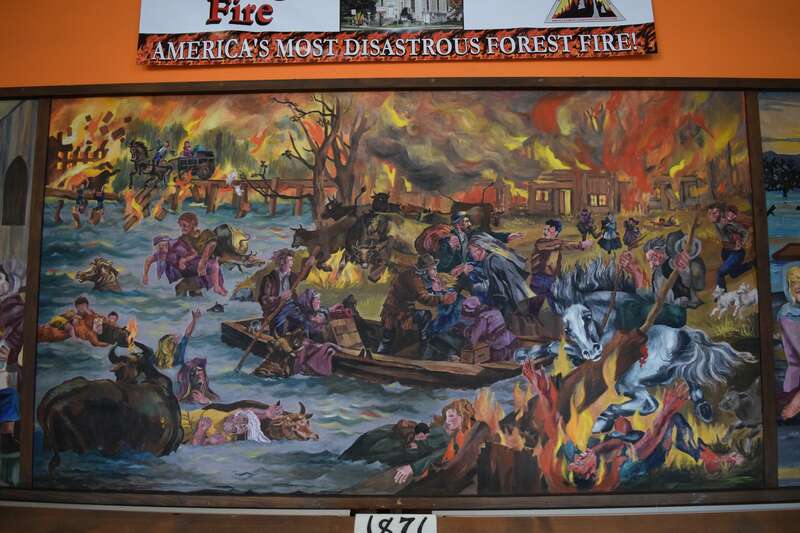 The deadliest fire in US history raged through Peshtigo, Wisconsin. 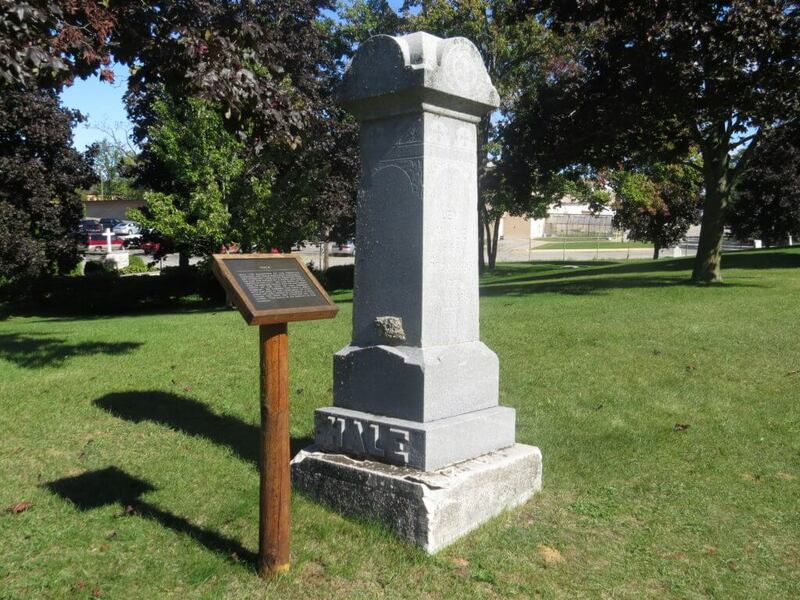 a cemetery to memorialize those who died. 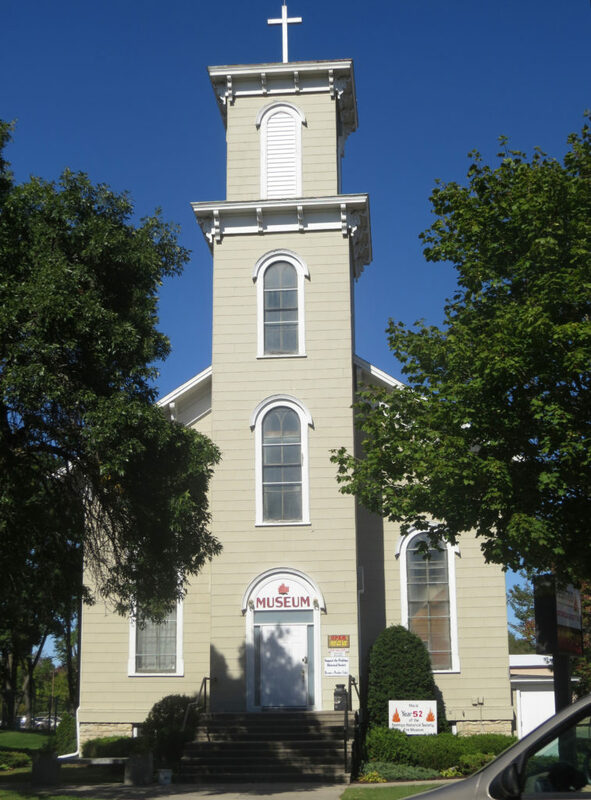 The Fire Museum is housed in the first church built after the fire. 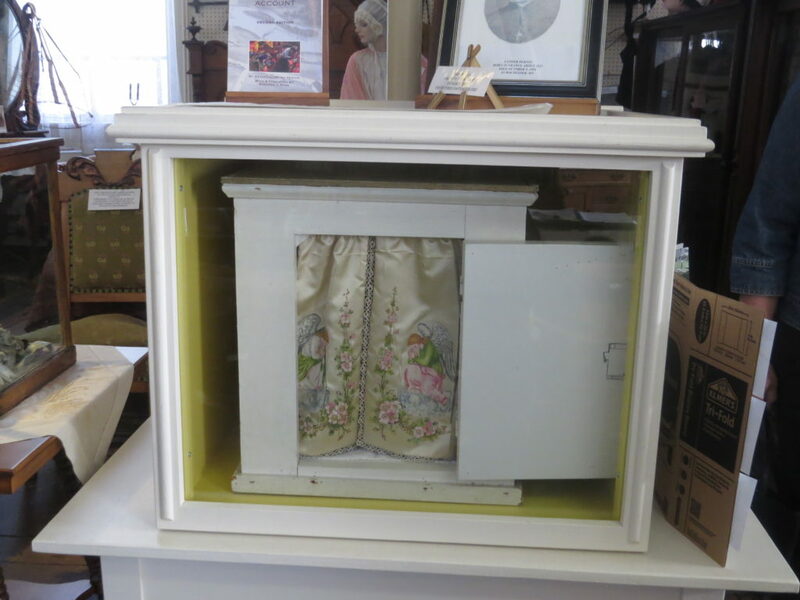 Donations are appreciated and enable our museum to stay open. Thank you! 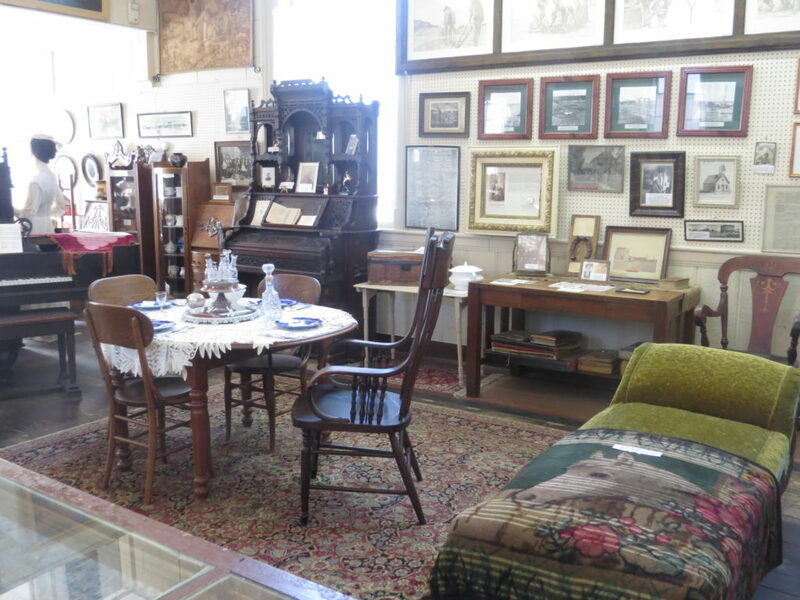 Museum workers are always available to share the story of the fire. If your group has ten or more people, please fill out the Presentation Request Form or call 715-582-3244 (during the season only). If your class/group/organization would like a presentation of the fire story at your location, please click here for more information. 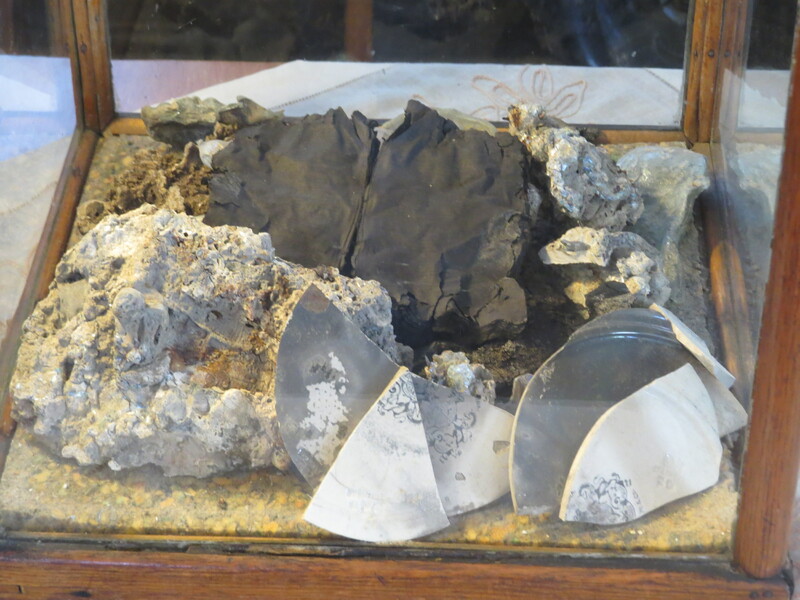 Artifacts from the Great Peshtigo Fire. The blackened object is a Bible, petrified from the heat. 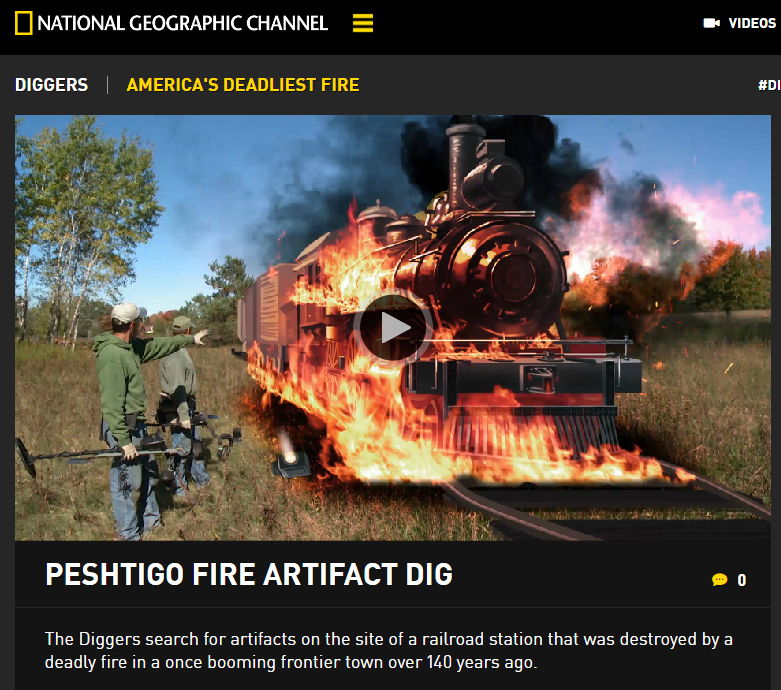 Diggers is a reality show on the National Geographic Channel in which hobbyist metal detectorists “King George” Wyant Tim “The Ringmaster” Saylor look for lost relics of history. They came to Peshtigo in 2015 to investigate the site of the former railroad station destroyed in the fire. The episode was aired August 17, 2015. 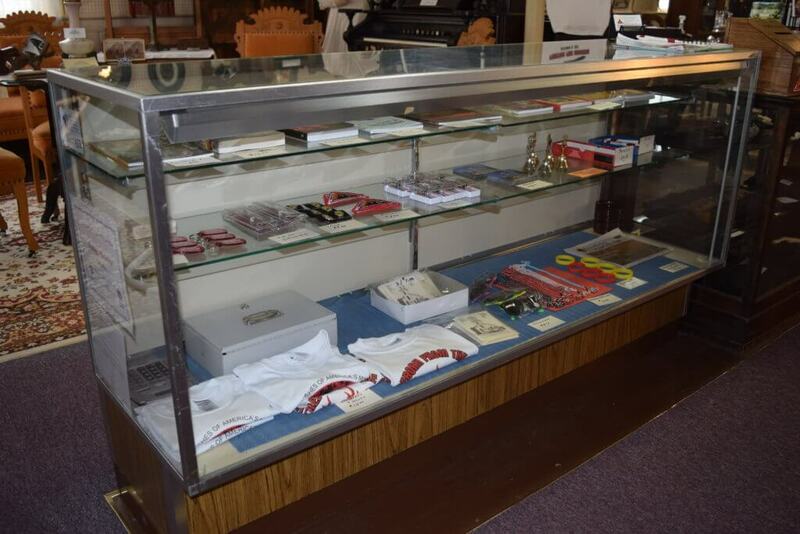 Artifacts they found are on display in the Peshtigo Fire Museum. Note: If the video won’t play, check your ad block settings.